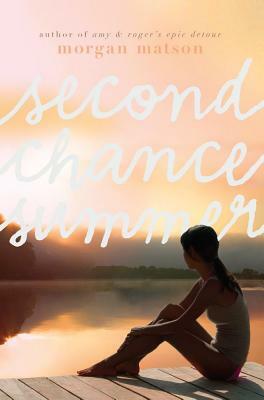 Sandwiched between two exceptional siblings, Taylor Edwards never felt like she stood out -- except for her history of running away when things get too complicated.Then her dad receives unexpected, terrible news, and the family makes the last-minute decision to spend the summer together in the cramped quarters at their old lake house. Taylor hasn't been to the summerhouse since she was twelve, and she definitely never planned on going back. Up at the lake she is confronted with people she thought she left behind, like her former best friend Lucy, and Henry Crosby, her first crush, who's all grown up ... and a lot cuter. Suddenly Taylor is surrounded by memories she'd rather leave in the past -- but she can't run away this time. As the days lying on the beach pass into nights gazing at the stars, Taylor realizes she has a second chance -- with friends, with family, maybe even with love. But she knows that once summer ends, there is no way to recapture e stands to lose.